Lol….keepin’ it real. We’ve been at beaches and parks every single day since school got out…but some days you just need to veg in your pajamas till 1 pm and let the kids have some screen time. I’ve been working on a quilt for a my soon-to-arrive niece. I added some neutral prints to the bright blocks at the top of this post…it’s going to be bright! Speaking of bright…I’m going to cut into this lovely fabric today. This was hands down one of my favorite lines at Quilt Market this year…Tucker Prairie by One Canoe Two for Moda. These colors! I don’t think yardage comes out until October? Sigh…I guess I can be patient. 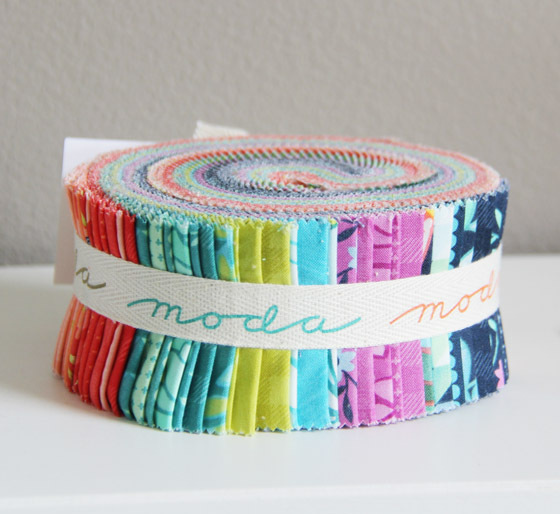 the blocks the boys the cuttings the jelly roll..it all looks wonderful! 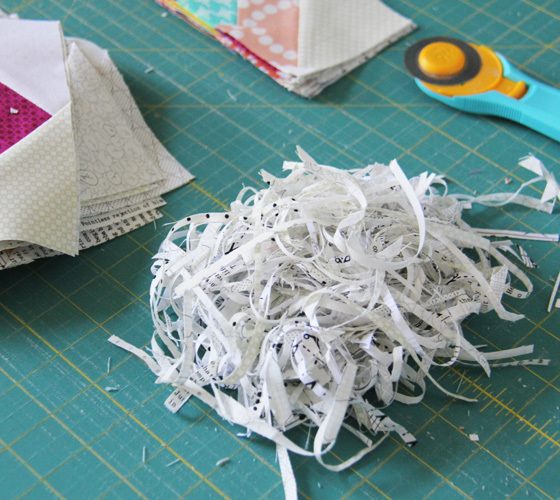 Allison, I'm with you – waiting for new fabrics to come out is grueling. But always worth the wait when that package finally arrives. These colors are so perfect for a baby quilt – and I just got a baby shower invitation in the mail today. You've inspired me! Agreed. It's too hot here to much. 109 at the moment. All fabulous and inspiring! Those simple blocks look great in such saturated colors, and the new fabric jelly roll is rich too. We FINALLY had our last day of school Monday, the transition it tough on my kids. I mean come on, who wouldn't want to spend time with me?!?! Am I really more boring than school? Lol Have a great summer! 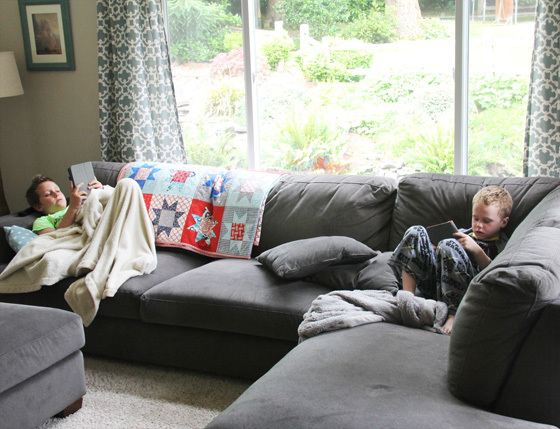 Is the pattern for the quilt on the sofa with the boys in your shop? It looks pretty easy & I'm a newbie to quilting. That would be perfect for a bargello! I've been inspired to get back in the swing of things! Glad to see I'm not the only mom in my pajamas at 1 PM! 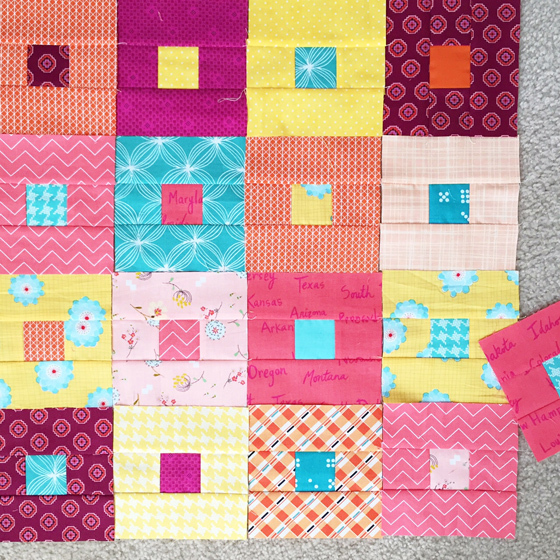 :-) Your baby quilt blocks are coming along nicely and that jelly roll is scrumptious! Yay for summer down time! I loved that line at Quilt Market, too! Amei conhecer o seu blog! !Achei maravilhoso!!! Hi Allison, I read your "5 Things to Know About Allison," on Ft. Worth Fabric Studio's blog. I love your quilts and have been reading your blog for a long time. You are the only other blogger who quilts, that I've met so far that loves reading anything financial. Love "The Wall Street Journal."